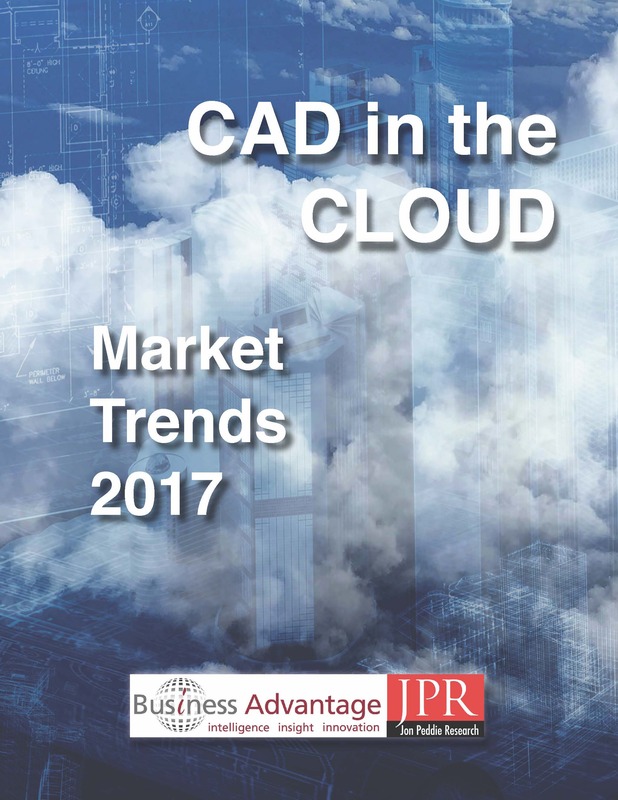 Business Advantage (BA) and Jon Peddie Research (JPR) co-created this report on CAD in the Cloud (CiC) using a custom designed survey together with other insights and additional industry data. CAD/CAM/CAE/PLM/PDM are at the early stages of cloud-based workflows. Software vendors are confident of the benefits of leveraging the cloud and are developing products for their customers. However, there is a mismatch in definitions and expectations between customers and vendors, causing an adoption delay. But we have seen customer attitudes change very quickly from entrenched positions to acceptance. To understand what professional engineers, designers, architects and managers around the world perceive to be important, their actual and future usage plans for CiC, their benefit perceptions and reality, enablers and inhibitors to adoption, evolving management approaches and other insights – all by industry, application vertical and geography. Which CiC solution vendors are top of mind? Which types of work benefit most from using CAD in the Cloud? Adoption - What inhibits CAD in the Cloud adoption? What are the perceived and actual benefits of using CAD in the Cloud? Payments - How firms pay today and how they would like to pay in the future for CAD in the Cloud? Americas/EMEA/APAC - What are the differences in interest/adoption/concerns by geography? Which departments and job titles are most likely to use CAD in the Cloud? Want to discuss the Report? How Can You Order the Report?